Once a year, Britain’s top celebrities come together on Red Nose Day to raise money for Comic Relief. This year, one of the nation’s brightest stars (and biggest divas) is performing a stunt certain to go down in history as one of the most outrageous ever. 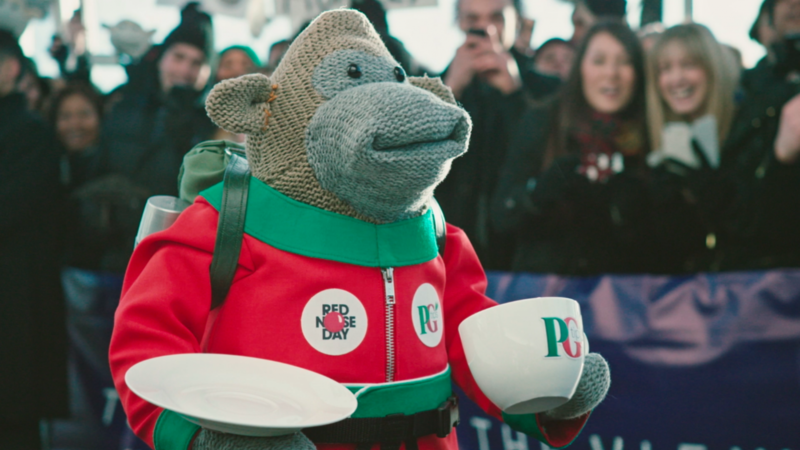 Watch PG Tips’ Monkey’s Monumental Mission: he’s climbing to the top of The Shard, the pinnacle of the London skyline and the tallest skyscraper in Europe. Creating the epic stunt involved multiple camera crews, a team of professional climbers, puppeteers, robotics engineers, a helicopter, and one very temperamental monkey.